I have seen so much of it lately here, on EX, follow up on our sick peers, and sharing with the group, creating power or healing by praying for someone we know, or someone loved by one of our peers, word of encouragement for our peers who are successfully building their quit, and encouragement for those who fail temporarily. I decided to make it a subject of reflection for today. Because we all need it while we quit, after we quit, and pretty much for any other situation in our lives. Loving our peers is what keeps us coming back. May we all learn how to spread kindness, every minute of every day. And never forget to be kind to ourselves. Beautiful, Daniela. Yes, this place is pretty amazing in it's kindness content. Many good, good souls here. (And you're one of them.) We're very lucky. And I'm very grateful. I will NEVER forget the kindness shown to me when I was so very, very sick a few years ago. I was the envy of the entire rehab hospital with all the loving cards displayed on my bulletin board from this wonderful group. Each day brought a new one, and it was about the only thing in those days that brought a smile to my face. This is, indeed, a wondrous group of souls! Great idea for a blog, Daniela! I love the people on this site. I have become close with many to them ( the 3 of you above here included)...its much like extended family. We are all very blessed to have each other and theres a reason for that Nice blog! Lovely. 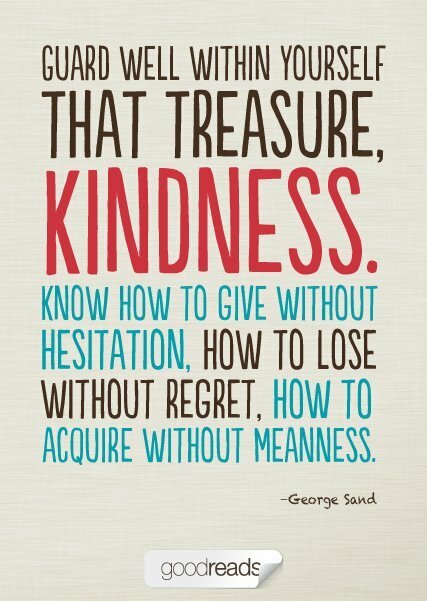 I experience kindness as generosity, as that bit of extra that isn't exactly required but that is felt deeply when received. You are so right, Daniela, and you are a leader in kindness here Thank you so much!! Beautiful, Daniela. 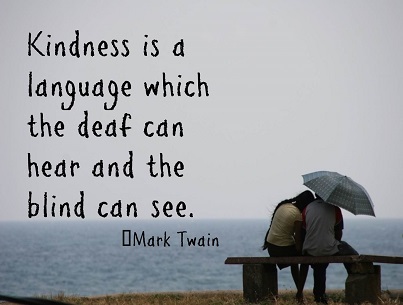 There can never be too much kindness. Thank you for sharing, it is beautiful. Big congrats on your milestone, you should officially be out of NML.